We Live In A Political World: #359 / Christmas And The Three "R's"
#359 / Christmas And The Three "R's"
Yesterday, the day before Christmas, the City of Santa Cruz sent me a reminder to recycle. The City's newsletter is pictured above. 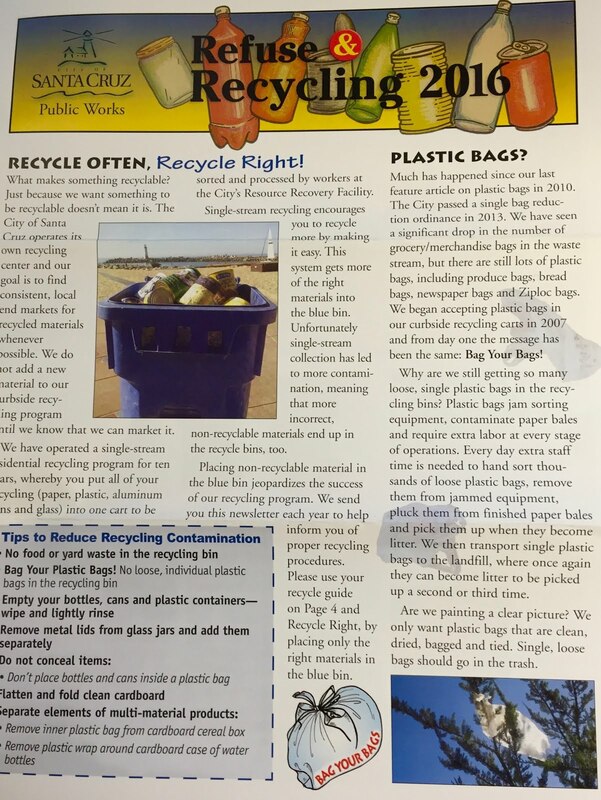 The newsletter came with some coupons and stickers that will provide me with some extra curbside recycling opportunities, and with an ability to make some free visits, next year, to the City's recycling facilities on Dimeo Lane, located on the Santa Cruz County North Coast. 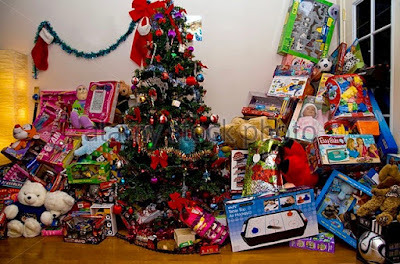 I am totally supportive of the City's encouragement of recycling, and I think that the day before Christmas is a great time to remind City residents that they should be thinking about recycling those Christmas gift and packing boxes, once opened, and that they should take steps to recycle the yards of wrapping paper that will be torn apart on Christmas morning. I can't help but think, however, that a reminder to "recycle" is a needed but insufficient advisory. For some time, I served on the Board of Directors of Californians Against Waste, a great nonprofit group that is still going strong. CAW lobbies in Sacramento for a "zero waste" economy. If you are feeling generous this Christmas, you can click this link to make a donation. At CAW, our mantra was the "Three R's." "Recycling" really comes last on the list. The first thing we need to do is to "Reduce" our consumption. Second, once things have actually been produced, and exist, we need to "Reuse" them, over and over. A "throw away" society is on the wrong track. Finally, of course, "Recycling" is for what we can't "Reuse." 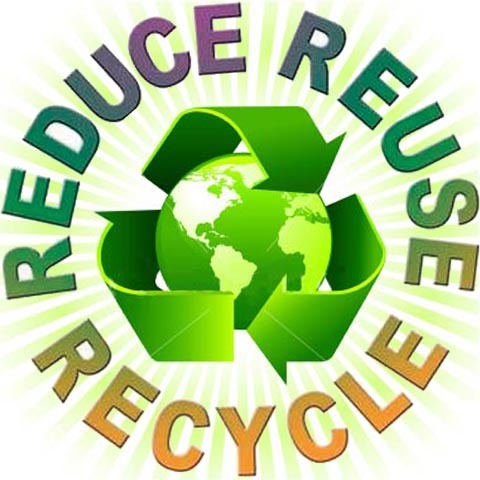 Christmas is a good time to remember this statement of priorities: Reduce, Reuse, Recycle. Remember, "Reduce" comes first. If Christmas morning finds us looking at scenes like the one below, we probably don't have our priorities in the right order. Bill Maher, who dislikes Christmas from an anti-religious perspective, made a video in 2010, called a "Christmas Message to Oprah Winfrey," that gets to the point in a rather forceful way. It's not really "fun" to watch this video (at least it wasn't fun for me), but it does convey a sense that Christmas has routinely been hijacked by the spirit of greed, not generosity. Greed goes right along with our compulsion to produce and consume more. So, this Christmas, let's remember the Three "R's." And maybe a good resolution for next year is to focus our efforts on "Reducing" and "Reusing." That would help us out with our global warming problems, too! !